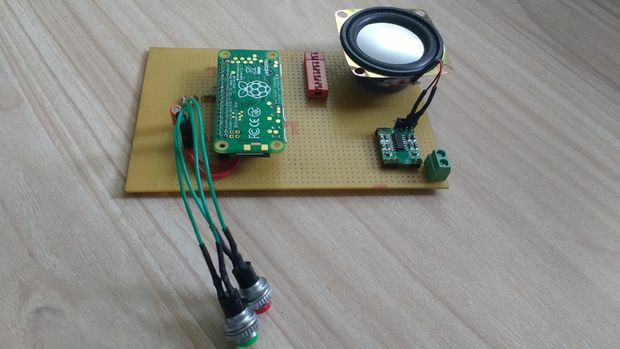 Speaking Alarm Clock @Raspberry_Pi #PiDay #RaspberryPi « Adafruit Industries – Makers, hackers, artists, designers and engineers! Cool build + tutorial from Instructables user victoryking. I have habit of setting up alarm clock on my smartphone just before I go to bed. While setting up alarm I usually get distracted by tasks like taking daily notes or recording daily expenses on my smartphone which is not good for my sleep cycle. Well, analog alarm clocks are great substitute and I needed bigger motive to get my hands soldery. Then one day while I was watching Jack Ma’s talk which contained few motivational liners on getting up early, I thought it would be great to hear such talk as alarm tone. Well that was it.